Books accumulated last year and straight from my shelves. Concise Reformed Dogmatics by Van Genderen, J.; Velema, W. H.
Incarnation in the Gospels (Reformed Expository Commentary) by Doriani, Daniel M.; Ryken, Philip Graham; Phillips, Richard D.
This set is the revised editon of the original work by Frank Gaebelein. Editor Information: Tremper Longman III (PhD, Yale University) is the Robert H. Gundry Professor of Biblical Studies and the chair of the religious studies department at Westmont College in Santa Barbara, California where he lives with his wife, Alice. He is the Old Testament editor for the revised Expositor’s Bible Commentary and has authored many articles and books on the Psalms and other Bible Studies. EditorInformation: David E. Garland (Ph.D., Southern Baptist Theological Seminary) is William B. Hinson Professor of Christian Scriptures and associate dean for academic affairs at George W. Truett Seminary, Baylor University. He is the New Testament editor for the revised Expositor’s Bible Commentary and the author of various books and commentaries, including Mark and Colossians/Philemon in the NIV Application Commentary, and the article on Mark in the Zondervan Illustrated Bible Backgrounds Commentary. He and his wife, Diana, reside in Waco, Texas. I have included my New Testament Collection. I have read and reread Paul Tripp’s War of Words: Getting to the Heart of Your Communication Struggles (P & R, 2000) and I am grateful to God for this wonderful book. I heartily recommend it to anyone who is trying to understand how to communicate better. In fact, I am using it now, together with the study guide, with an adult group at QCEC. Each chapter of the book has challenged me and the members of the group. 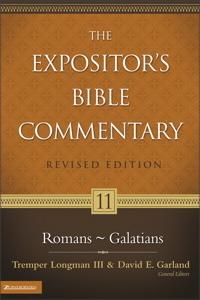 This volume is a result of the Together for the Gospel Conference held in 2006 whereby, the messages are compiled with additional articles from MacArthur, Piper and Sproul. The appendix includes the Affirmations and Denials of the conference. This book is a gem for pastors who preach the cross and who desire to know more of Christ. Top books from my library for the year 2007. These books were chosen for their Reformed persuasion and understanding. 1. Johnson, Dennis E. Him We Proclaim. 2. Doriani, Daniel M. James (Reformed Expository Commentary). 3. Dever, Mark, J. Ligon Duncan III, R. Albert Mohler Jr., C. J. Mahaney. Preaching the Cross. 4. Oliphint, K. Scott, ed. Justified in Christ: God’s Plan for Us in Justification. A compendium from the faculty of Westminster Theological Seminary. 5. Greidanus, Sidney. Preaching Christ from Genesis: Foundations for Expository Sermons. 6. Jeffery, Steve, Mike Ovey, Andrew Sach. Pierced for Our Transgressions: Rediscovering the Glory of Penal Substitution. 7. Horton, Michael S. Covenant and Salvation: Union with Christ. 8. Clark, R. Scott, ed. Covenant, Justification, and Pastoral Ministry. Essays written by the faculty of Westminster Seminary California on the defense of sola fide and an apology on the Federal Vision. It is every pastor’s desire to bring the Word of God to the hearts of God’s people. Iain Duguid has made this exposition of these Old Testament books, Esther and Ruth, worthy of examination and thinking through. His expertise in the Hebrew language, a sharp eye on details, and engaging thoughts, has made this series worthy of keeping. The challenge to make OT realities into Christologic realities is a challenge these days, and Esther and Ruth has not only wound it around Christ, but is also full of applications related to Christ’s person and work. As I go through the books that I have accumulated so far, particularly the new ones that are related to the Reformed faith, this post will start a series on my personal reviews and recommendations. Since I have added to my library the Reformed Expository Commentary series, I believe these books are worth collecting and reading, and worth every penny you spend on them. They are particularly helpful to Bible preachers and expositors even though they are written in a very western perspective. Anyway, keep on coming back for more book reviews.